No, it’s not limited to the older generation – even young childless couples visit temples to pray that the deities will grant them a healthy baby. Zhu Sheng Niang Niang (注生娘娘), in particular, seems to be the bringer of hope and bundles of joy. 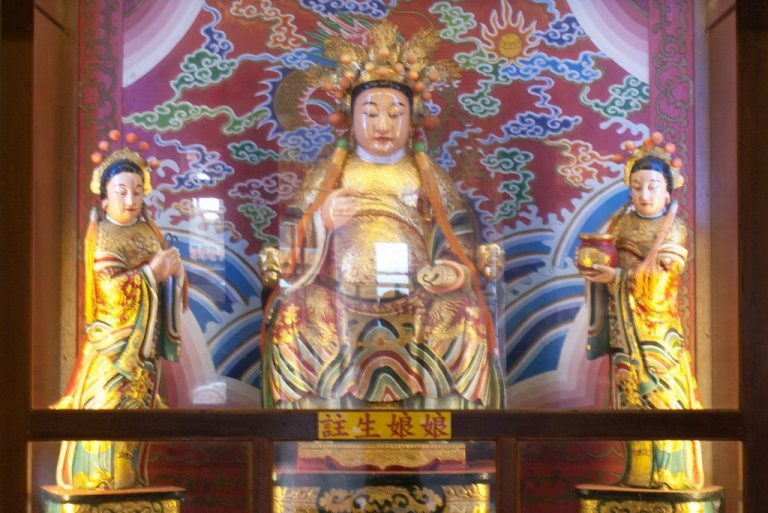 A fertility deity in Taoist culture, Zhu Sheng Niang Niang governs everything to do with pregnancy, delivery and birth. In Chinese, 注生娘娘 literally translates to “goddess who watches over birth”. 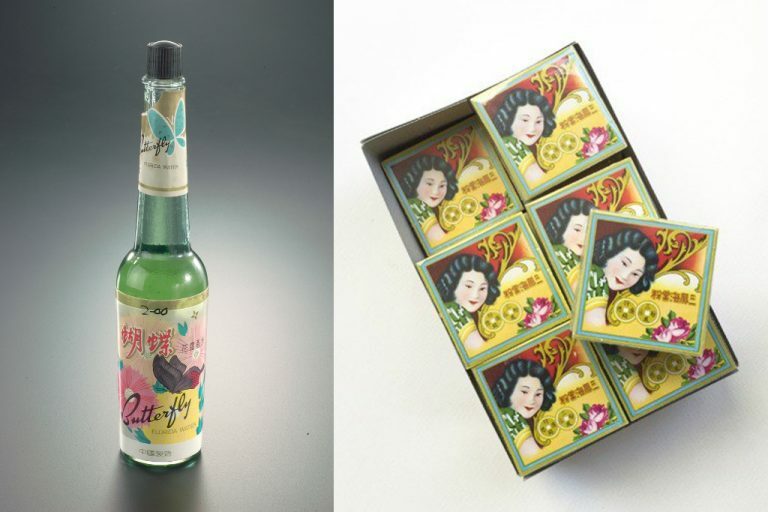 Believed to protect both mother and child, Zhu Sheng Niang Niang is traditionally worshipped by the Southern Chinese, such as the Hokkien and Teochew clans. Even today, many childless couples turn to her in hopes that she will bestow a baby upon them. Of course, it’s essential to seek your gynae’s advice should you have problems conceiving naturally. There may be underlying physiological conditions that need addressing, and advanced fertility treatments produce miracles every day. But there is surely no harm in praying for divine intervention either. “While I’m a Taoist-Buddhist, I don’t really see myself as superstitious. 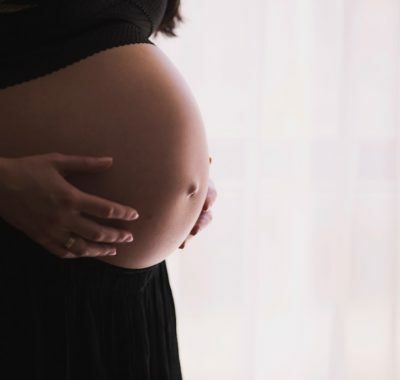 Still, I would grab any chance just to have a healthy baby, so I kept an open mind and prayed to Zhu Sheng Niang Niang,” reveals Jo Tan, 35, who was blessed with a baby boy in 2013. 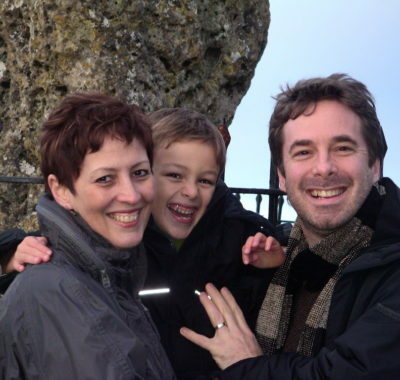 She had been trying for kids for about three years prior but faced difficulties conceiving naturally. If you hope to have a baby boy, bring an odd number of white flowers (11 stalks, for example) to offer to the goddess. This symbolises “yang” or masculine energy. To pray for a baby girl, prepare an even number (12 stalks) of red flowers. This represents “yin” or feminine energy. If you have no preference, you can go with six of each. At the temple, you can also purchase a set of basic offerings (usually costing about $3 per set) that include candles, joss sticks and incense paper. 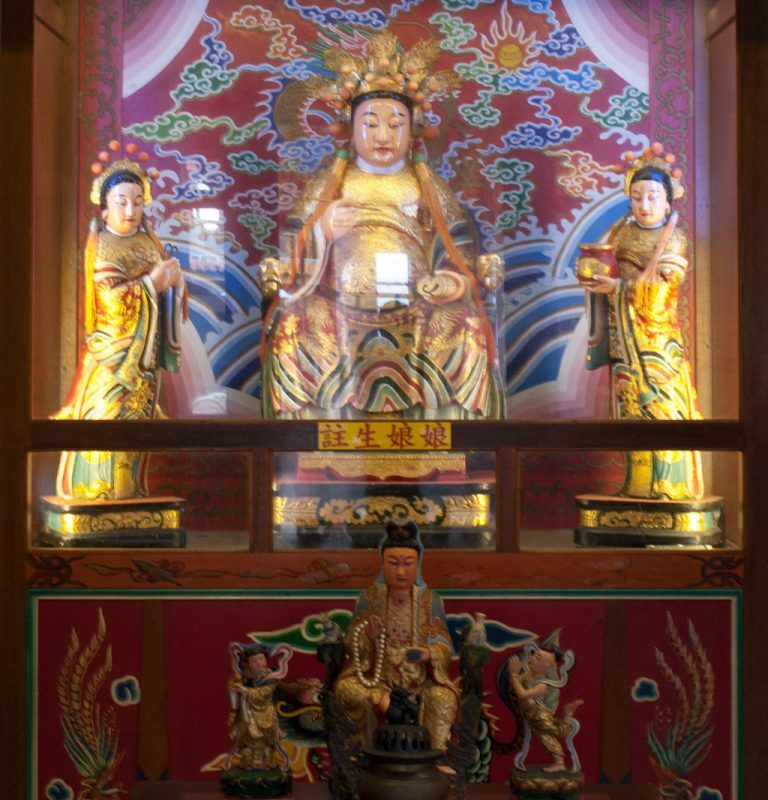 Then simply approach Zhu Sheng Niang Niang’s altar and tell her of your wish to be blessed with a healthy child. Tell her yours and your spouse’s names and dates-of-birth, where you live and whether you would like to have a boy or girl. Some ladies say that they sometimes pour their hearts out to Zhu Sheng Niang Niang, often sobbing out their woes as they get caught up in their emotions. This is perfectly fine – the goddess will then better know your pain, they say. 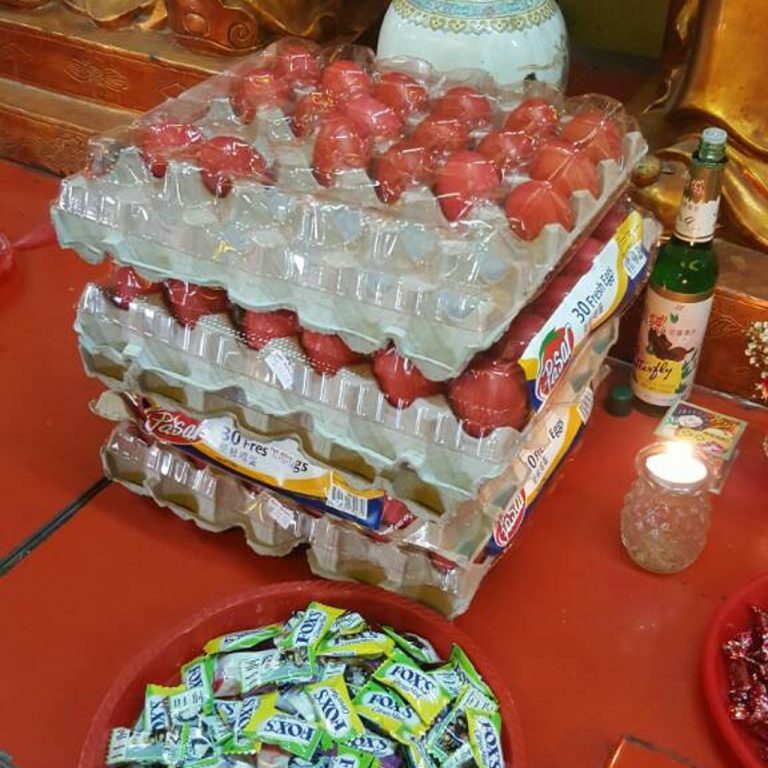 Finally, if there are any red eggs by Zhu Sheng Niang Niang’s altar, be sure to take two, one for yourself and one for your spouse. You can eat them at any time, but it is advised to take them home and eat them on your bed together. Do eat them on the same day as soon as possible, so that they are still fresh. These are extra lucky red eggs! If you’re still unsure about what to say or do, simply ask one of the friendly temple caretakers for pointers. They are usually more than willing to guide you. At the end of the day, the most important factor is your sincerity, so don’t worry if you get it ‘wrong’ – the deities are not petty mortals after all! When you get the BFP (a.k.a. Big Fat Positive pregnancy test), you may wish to return to the temple to thank Zhu Sheng Niang Niang for her help. This is also the best time to pray for a smooth pregnancy and delivery, and of course, a healthy baby. After your confinement period is complete and baby is a month old, it is important to return to the temple with an offering of red eggs. The number of eggs is usually in tens; some offer 50 eggs, some 100, yet others choose to present the auspicious-sounding 88 eggs. The red eggs have a two-fold purpose. First, to thank the goddess for her blessings. But perhaps more importantly, it is to spread the ‘baby dust’ to others who are still praying for a baby of their own. Remember the red eggs mentioned earlier? This is where they come from! There are several temples where the goddess resides around Singapore, including the eight listed below. 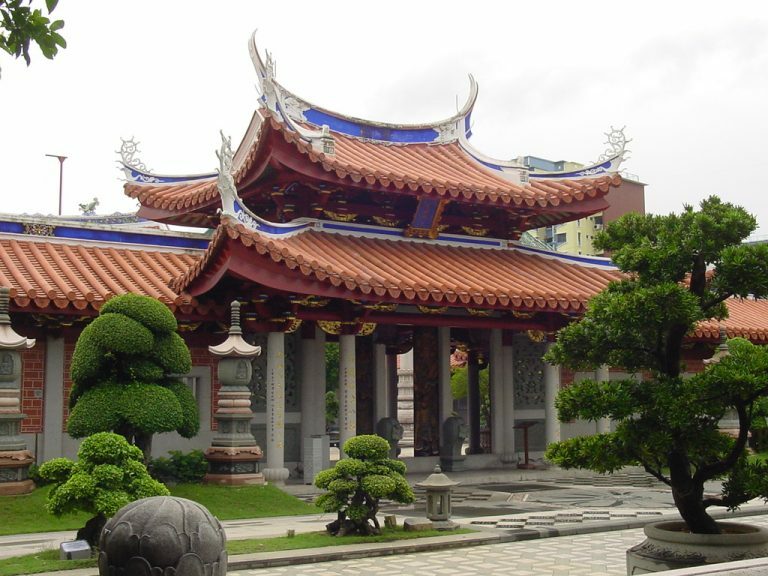 One of the most popular with participants on this SingaporeMotherhood forum thread is the Shuang Lin temple in Toa Payoh. You’ll recognise Zhu Sheng Niang Niang as the lady deity who holds an open book and a calligraphy brush – these reflect the traditional Chinese practice of recording every newborn in the family lineage. East-side Kids, The Artground – A Curious Place To Be is a Brand New Place for you to Play in and Enjoy the Arts!